Have you ever tried observing an audience in the middle of an intensely moving or entertaining film playing in a dark theater? Sitting in the front row, looking back at those faces filled with delight or fear or tension, truly basking in the safe haven of collective imagination we call the cinema. It’s a powerful and persuasive experience. Filmmakers don’t make movies just for themselves, they make them for the masses. Why? Because the want to share a story with someone, hopefully millions of someones. Their project remains incomplete without a reciprocal relationship with the outside world, with strangers who can equally partake in their work by translating the moving images into speculative reality. One of guide to the great joys about putting your blood and sweat into creating something special is the ability to share it with a multitude of unsuspecting individuals who are floored by what they witness. Video marketing has gone from a ‘nice to have option’ to a ‘must-have necessity.’ Retailers, especially, benefit tenfold from the bevy of benefits video marketing has to offer. It opens a channel of effective communication and interaction between the customer and the brand. Helping consumers understand products better, video is proving to be an essential for retailers. 87% of online retailers are incorporating video into their marketing strategy and a retail business is 53 times more likely to show up in the top Google results if it uses video. With more amazing stats to back up the power of video marketing, check out the top reasons why video is vital for retail. While video was traditionally only limited to TV, it has now effectively crossed over to online channels as well. Social media makes up for a big part of the retail audience, with 82% of Facebook and Twitter users watching retail videos on the platform. Adding video to your retail email can also increase the click-through rate by 200-300%. Retailers can establish leadership and authority in the business by using video marketing as a medium to share their brand message. 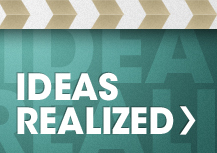 Video can easily help break down complex ideas into easy-to-understand concepts. It can help retailers gain trust and credence with their viewership. Also, 49% of customers respond adversely to direct online ads. So video marketing is a great way of showing your customers that you’re a trusted brand leader. When it comes to buying decisions, customers often rely on their emotions rather than logic. Videos are a great way of forging emotional connections with your customers. Video can help engage customers more than static ads. It can also evoke empathetic reactions from customers and connect on a deeper level with the retailer’s target audience. Video can be easily shared across platforms. If a customer likes your video, they’re likely to share it across Facebook, Twitter, etc, thus giving your brand more online visibility. The more your videos are shared, the more people get to know about you. Pulling off a good production requires you to hire video professionals who know their way around video marketing and production. 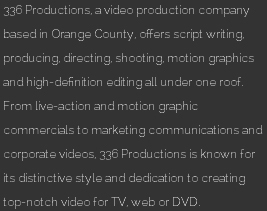 Our video production company 336 Productions in Los Angeles, CA will assist you from concept to post-production and everything in between. 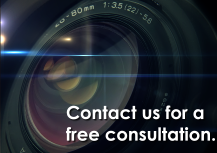 Produce a corporate video that captures your brand’s essence with our help. 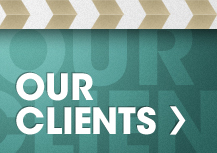 Contact us on (888) 440-5830 now!